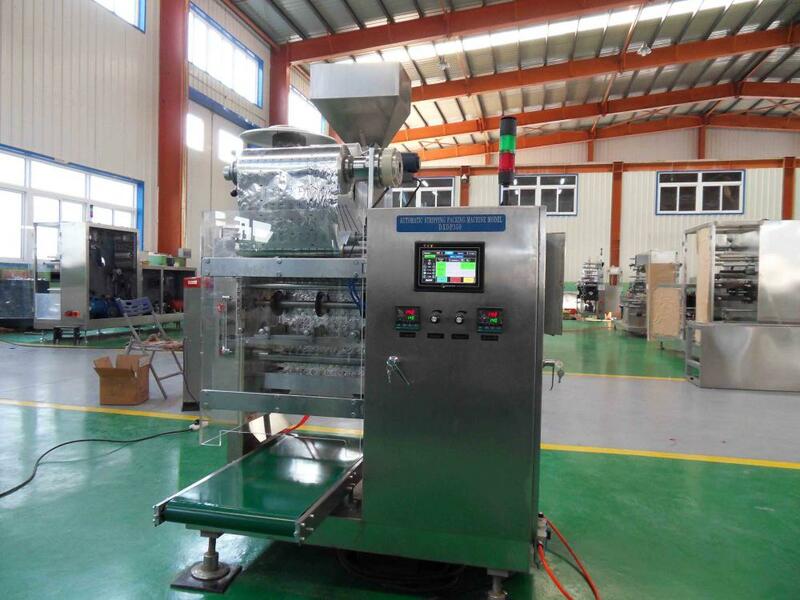 Fully Automatic Capsule Stripping Packing Machine This machine suitable for the medicine and food industrial .It can pack tablet in the normal or special shapes, also capsule and the soild state product. It is small occupation ,running stably ,high capacity etc. Easy adjustment, safe and reliable operation, computer-controlled, easy to operate. Good-sealing and anti-moist, to ensure the quality of medicine. 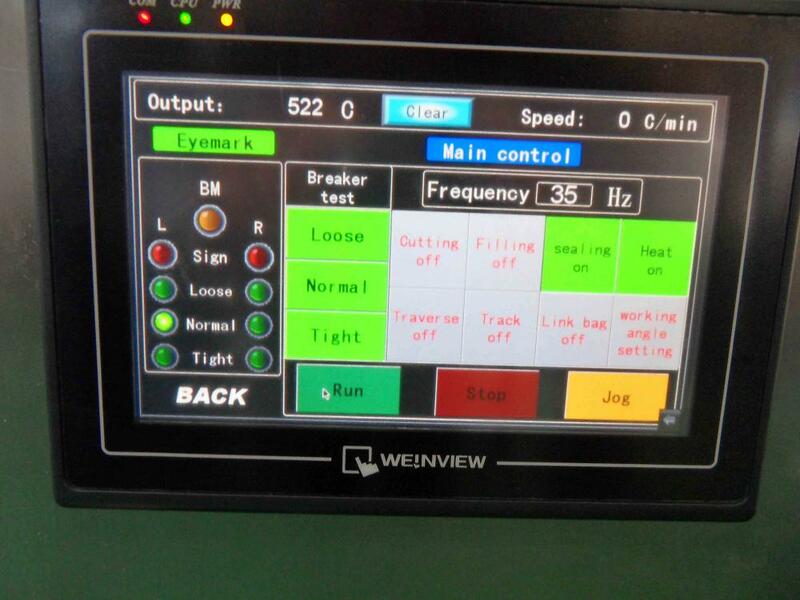 The machine adopts frequency to achieve infinite speed adjustment. 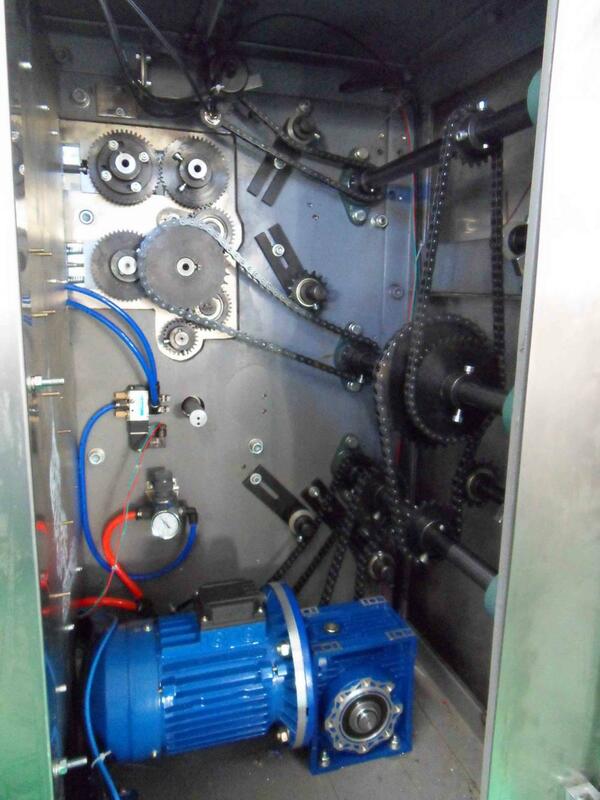 The machine is installed dual support on the front and back vertical plates, with sufficient rigidity to ensure every parts working stable and reliable with high-speed. Suitable for printing and tear-off-lining. With functions of automatic detection of mark, tracking adjustment automatically, to ensure double-side of sachet bag be marked completely and accurately. In accordance with Chinese GMP standard. 1. The sealing area can attached to 350 mm . 2. The two rolls of material come forward together from two sides and hot sealing, The eye mark tracing syestem active and correct , conviniently adjustment . 3.The position of the across rupture position can be adjusted and controlled by the Differential through the left hand wheel .and the other parts are controlled by PLC automatically . 4.The length-ways sealing ,across sealing ,printing and the break mechanism are installed in the two vertical board ,which is enough hard to assure the superior quality of each bag . 5.It is reasonal composing ,small occupation ,perfect outlook . Looking for ideal Automatic Capsule Stripping Packing Machine Manufacturer & supplier ? We have a wide selection at great prices to help you get creative. 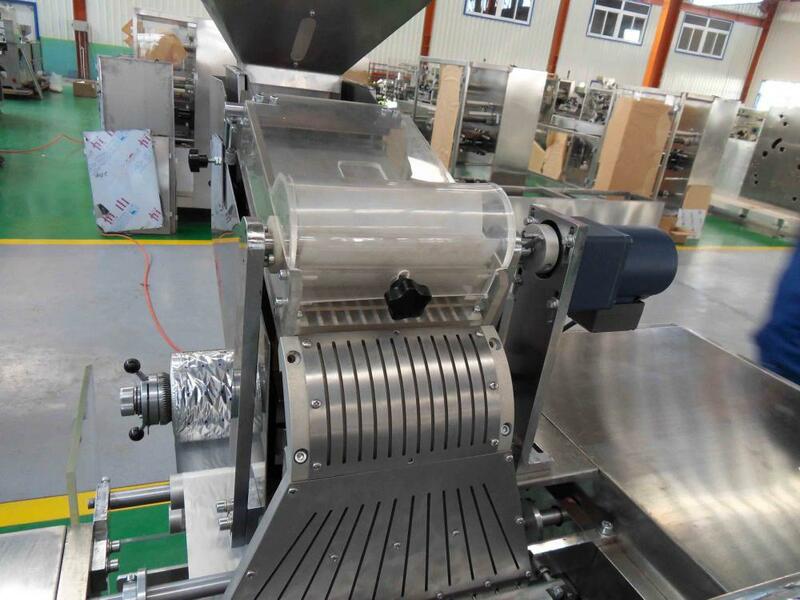 All the Fully Automatic Capsule Stripping Packing Machine are quality guaranteed. 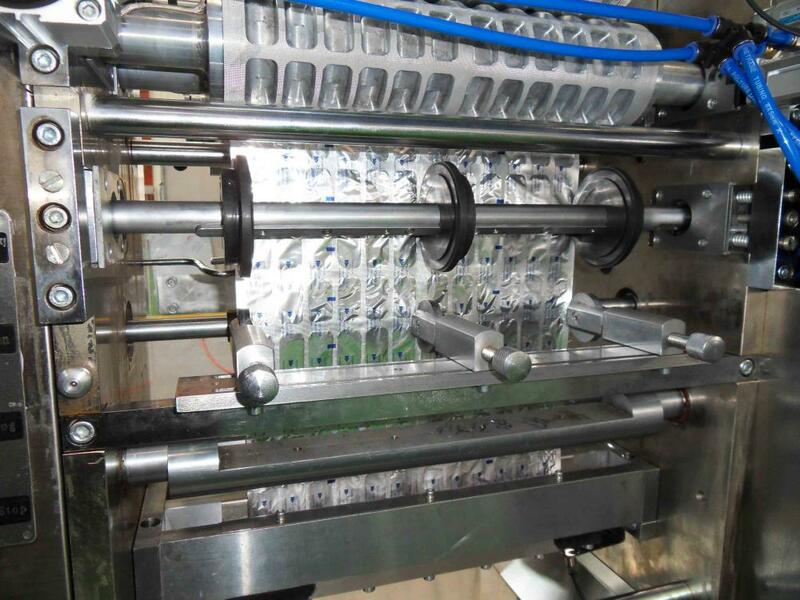 We are China Origin Factory of Capsule Strip Packing Machine. If you have any question, please feel free to contact us.